Patriotic in red, white, and blue! 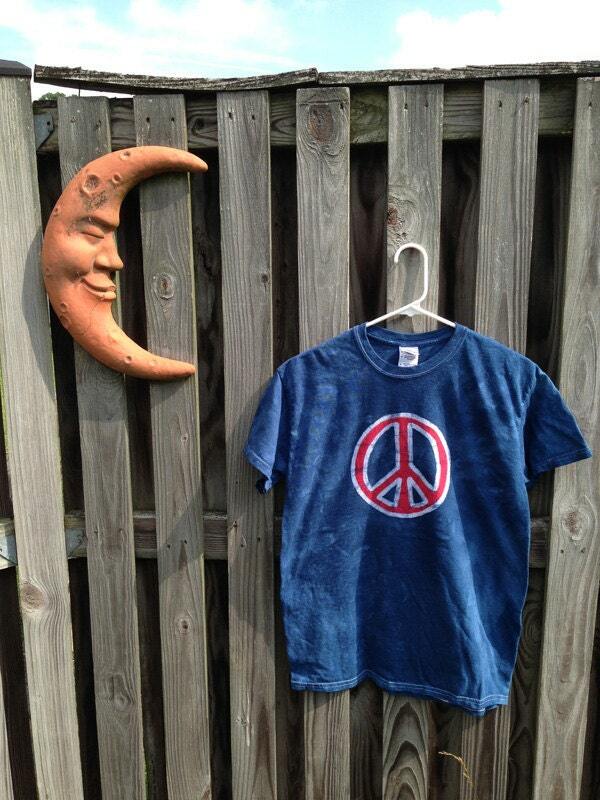 This peace sign shirt is perfect for July Fourth fireworks and every day. 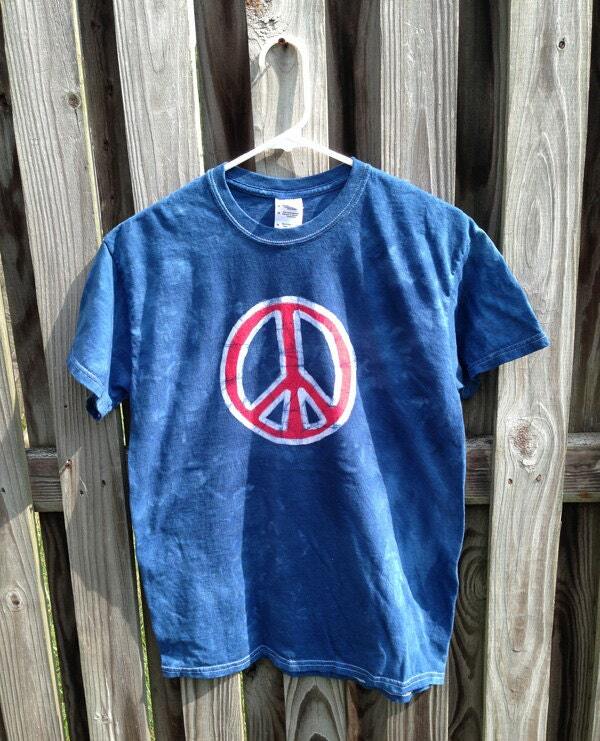 I painted a big red peace sign onto the chest of this unisex Gildan adult medium T-shirt before dyeing the entire garment dark cobalt blue. 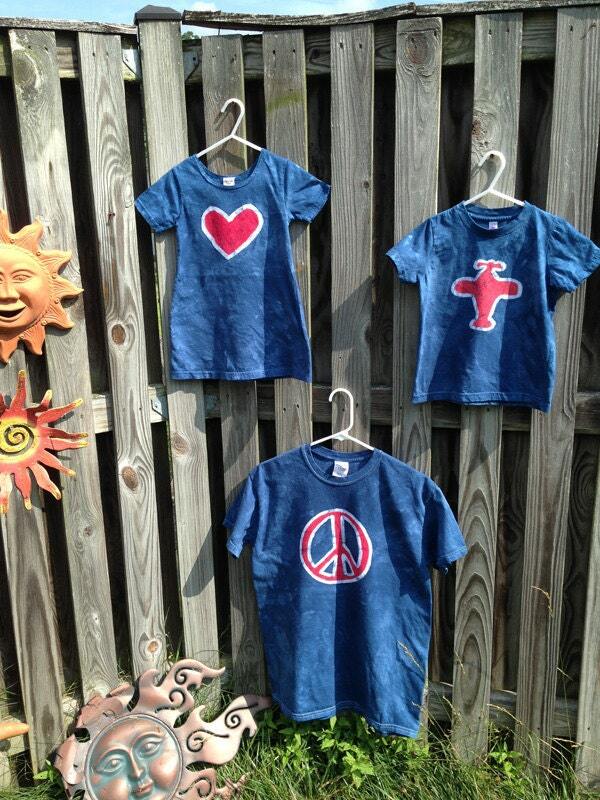 Check out the little veins of blue that run through the red -- that's the best part of batik! 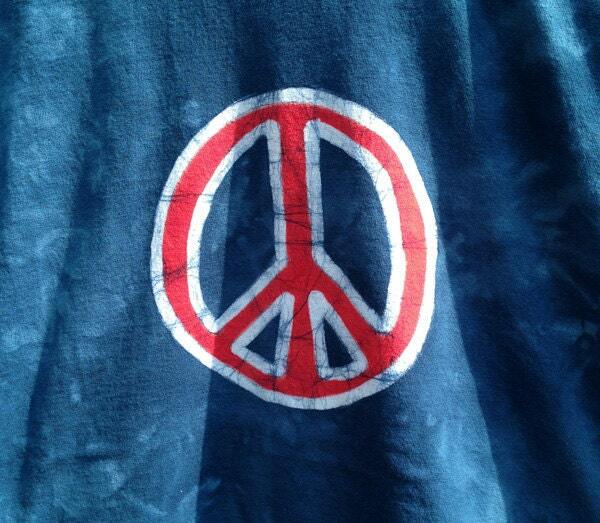 The shirt has been washed several times so the cotton is super soft.